From the beginning, plastic surgeons always used the finest instruments, the smallest sutures, and the most careful approaches compared to other surgical specialties. Microsurgery was really born from plastic surgery in the 1960s. The first “replantation” of a finger, an ear, and various other body parts that have tiny blood vessels that required very delicate hands and microsurgical skills all came from plastic surgery. I was fortunate in my training to spend an entire year performing and teaching microsurgery. I think this “background” fosters our natural approach to “cosmetic,” or what I prefer to call aesthetic plastic surgery. Careful planning of incisions and execution with a very detailed approach to anatomy is paramount to being a great plastic surgeon, having great results, and more rapid recoveries. The “scar” is the most visible thing a patient often sees, and no one pays more attention to the “scar” than a plastic surgeon. For most of us, this innate interest was spurred in the first year of medical school with the favorite “class” being gross anatomy. I found myself interested in complex structure and how everything was “put together” even on the most detailed levels. Two of the most complex areas of anatomy in the body are the hand (many tendons, nerves, and vessels) and the face. Both of these areas are squarely within the bounds of plastic surgery curriculum. I, personally, did two fellowships in microsurgery and hand surgery as well as plastic surgery. 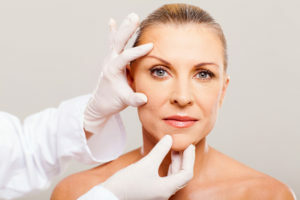 Whether we are reconstructing someone’s face after going through a windshield or performing an elective facelift, the facial anatomy is still the same, and that requires the same careful approach. As the media continues to popularize and commoditize “cosmetic” procedures, we cannot lose sight of the most important parts—“who is doing them” and that not all procedures are equal. Take, for example, something as simple as BOTOX® Cosmetic. Some patients call all over town shopping for the cheapest price as they might for a used car. This assumes that “everyone does it the same” and that all experience is the same. BOTOX® is a chemical—it depends how it is mixed, when it is mixed, what size needle is used, where it is placed, and how it is mapped, as well as the surgical expertise, anatomical knowledge, experience, and judgment of the surgeon that is doing it. Many that are “injecting BOTOX® Cosmetic” are not even doctors; many are mid-level and nurse providers. In my practice, several patients that come see me have already had a misadventure at a “med spa” before. Plastic surgeons think very anatomically, which I think helps ensure consistent and excellent results. Just the other day I was very touched that a former patient of mine from 10 years ago got in the car and drove down to see me in Houston for skin cancer on the nose. This patient has had several skin cancers (as can be common for most of us at some point), and he commented that the one I had reconstructed and repaired was “barely visible” compared to the one his dermatologist had done subsequently, which was more apparent. Now he wanted “a plastic surgeon because it was his nose.” Frankly, I was glad to hear that since it has become so commonplace for dermatologists to excise and reconstruct skin cancer defects, rather than plastic surgeons. This is still something I enjoy doing, and I think there is a difference in the way we think about anatomy. After all, we are really surgeons…dermatology is not truly a “surgical” specialty. Plastic surgery has its “heart” deeply founded in anatomy, which was my first love in medicine.